when I watch movies via AmazonPrime it wont load them in HD quality as HDCP seems to not be supported on my system, although it is perfectly HDCP compliant. Neither Firefox nor Chromium will work. When I run my Windows install, everything works just fine. The information I found so far states that HDCP support is present in the current kernel and proprietary nVidia driver, which I both use. Is there some setting I need to enable, to get Amazon to stream in HD? I’d really like to get rid of my Windows install completely, but this still holds me back. both aviable from Antergos Repo. The Widevine Content Decryption Module is installed in Chromium (chromium-widevine browser package) and Firefox (by default). That’s why streaming works at all. Before I enabled this plugin, I got an error message telling me to enable it. Now Amazon plays movies but refuses to play in HD quality, as their player thinks my system doesn’t support HDCP. But my system is perfectly HDCP compliant, as HD streaming works without a problem on my windows install. Edit: HD playback doesn’t work with Vivaldi either, only SD playback as in Chromium and Firefox. Edit 2: Same issue in Google Chrome, SD playbacks works fine, but Amazon refuses to play in HD with the same info message. I think it should be the same for Netflix as they probably use HDCP encryption for HD streams as well. So looks like it has something to do with configuration or graphic drivers on your system! so you are using nvidia closed source driver, that should work… do you have pepper flash installed? And what is your DE? Yes I’m running the proprietary Nvidia drivers (381.22) from the Antergos repo. The pepper-flash package from the antergos repos is installed. I’m currently using Gnome, but I installed it after I started with KDE, so not the default Antergos Gnome setup I suppose. Well, now I remember why I didn’t use nvidia-installer in the first place and just installed the nvidia package from the repo. 2017-05-20 12:35:11 [ERROR]: Couldn't find a driver suitable for your graphics card. 2017-05-21 00:05:27 [INFO]: Installation finished. Nothing has been modified as testing mode was ON. Here you go… My graphics card is indeed not in your database. Should I try running it in normal mode, not testing mode? Yes give it a try! do you sync to your monitor here? It was set to Auto before, still no difference… sadly. So no one else can help me solving this problem? 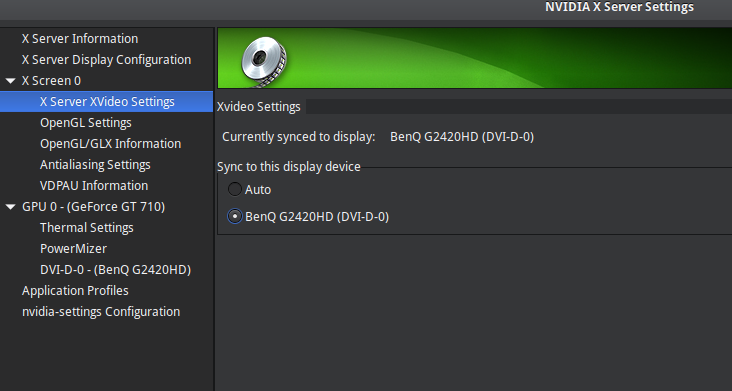 I really have no clue why HDCP wont work with my setup as it is working on the same machine under windows. Should I ask at the nVidia forums about this issue? Maybe it’s driver related.